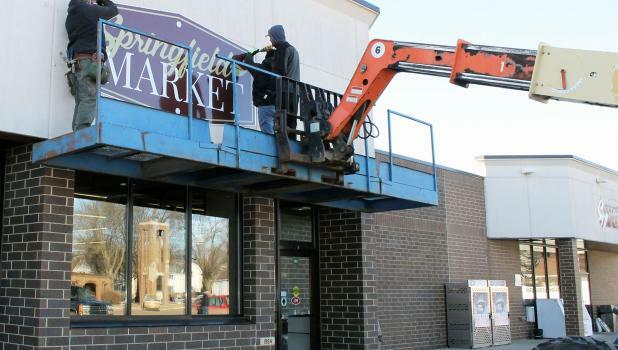 New signs for the grocery store and gas station now named Springfield Market went up on a cold day — Wednesday, January 16. The change in ownership and management of the store took place on Nov. 26, 2018, when Tim and Jodi Dittes purchased Jim’s Market from Paul Huber. Signs for the Springfield Market gas pumps will be put up one day soon when the weather is a bit warmer.